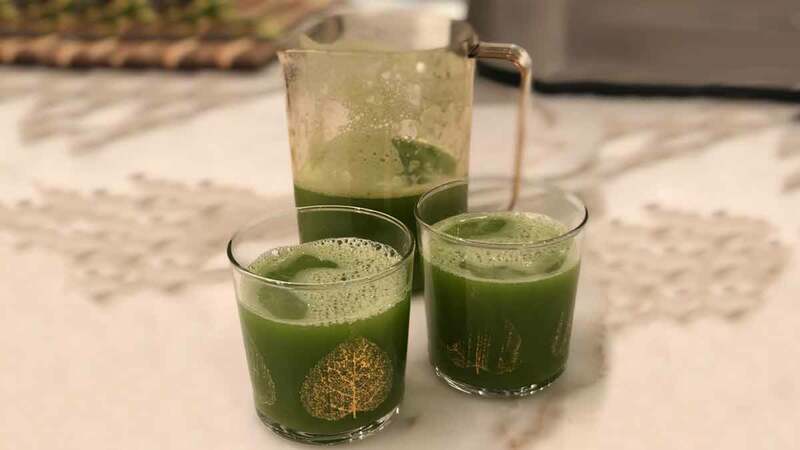 According to one of our favorite health gurus, Anthony Williams (Medical Medium) celery juice contains compounds called coumarins which are known to enhance the activity of certain white blood cells (yeah IMMUNE SUPPORT) and support the vascular system. (YEAH HEART HEALTH)!! Celery juice is alkalizing, meaning it positively affects the pH balance of your gut, therefore immediately improving digestion; when your digestive tract is “on track” your skin clears up, you get brighter, lighter (weight loss and glowing skin) and more energized; celery juice encourages your body to behave its best… and when your body behaves, your mind is freed up to think clearly and brilliantly! Here’s the simple way to get going with your at home daily 16 oz of celery juice; 16 oz is produced by juicing an entire head of celery. Step 2: Before going to bed, wash and cut up the celery into 2-inch chunks; include the leaves; store in a container in the fridge.